All nuclear weapons pose extreme danger, but Russia’s planned sub and its devastating torpedoes are unprecedented. Russia will deploy what’s been described as the deadliest nuclear weapon ever aboard mysterious submarines by 2020, Russian state media said, citing a Russian defense-industry source. The “Poseidon” nuclear-powered torpedo reputed to carry a 100 megaton nuclear warhead and meant to erupt underwater for maximum effect will reportedly deploy aboard the Project 09852 sub Belgorod, which is a converted nuclear-powered cruise-missile sub expected to go on combat duty in 2020. The Russian state news agency TASS said the new Belgorod subs could carry six of the Poseidon nuclear torpedoes, which are sometimes described as drones. But Russia will reportedly not operate the mysterious submarine alongside its regular armed forces or other nuclear-powered subs. The Main Directorate of Deep-Sea Research will run the ship, according to H.I. Sutton, who said the Belgorod would conduct covert missions with a smaller submarine in tow. “Russia operates a small number of very small, nuclear-powered submarines that are capable of diving in excess of several thousand meters,” Andrew Metrick, a research associate in the International Security Program at the Center for Strategic and International Studies, said in 2016. “It’s probably the most shadowy part of the Russian undersea apparatus,” he added. The new Belgorod submarine is “not operated by their navy. It’s operated by a separate branch of their ministry of defense,” Metrick said. In addition to six Poseidon torpedoes that experts say could wipe out almost all life on earth, Metrick and Sutton speculated the Belgorod could carry a smaller sub that could dive deeper to cut undersea cables and dramatically disrupt international communications and national economies. Russian President Vladimir Putin initially announced the Poseidon in a March 1, 2018, speech, in which he said US defenses could not stop it. Of course, the US has no defenses against any full-scale Russian nuclear attack, but in the case of undersea defenses, the US appears not to have even explored this avenue. In that speech, Putin confirmed the existence of the Poseidon, which has horrified experts since images of it first leaked in 2015. The US and other countries field nuclear-powered submarines capable of firing nuclear missiles, but the Poseidon represents a unique danger to life on earth. Most nuclear weapons seek to minimize radioactive fallout and simply destroy military targets. Russia took the opposite approach with the Poseidon. In short, while most nuclear weapons can end a city, Russia’s Poseidon could end a continent. Russia has also repeatedly threatened the US and Europe with the weapon, which it said it could park off a coast and detonate at a time of its choosing. 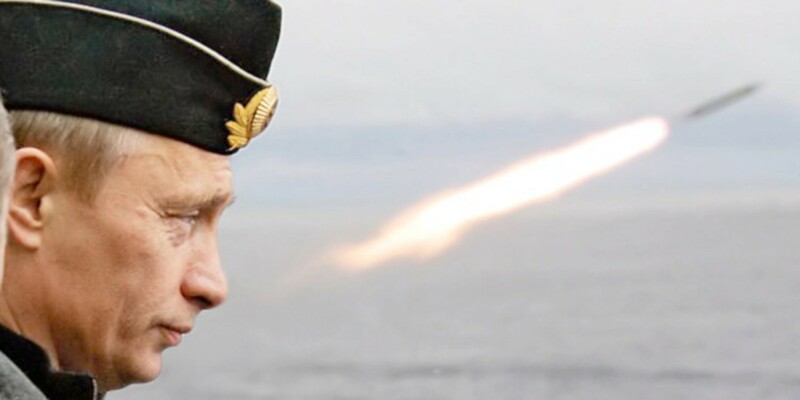 Malcolm Davis, a senior analyst at the Australian Strategic Policy Institute, previously told Business Insider that rather than a first- or second-strike weapon, he sees Russia’s new torpedo as a “third-strike vengeance weapon” designed to shatter NATO. While a nuclear exchange between the US and Russia would cause incredible death and destruction, and plunge much of the world into the dark ages, a stealthy submarine designed to launch six “doomsday” devices would be the most deadly weapon in human history and pose a direct threat to life on earth. The inclusion of a mini-sub, which experts speculate could destroy vital undersea cables and is operated by a shadowy branch of Russia’s military, suggests another clandestine purpose for this weapon.